ATHERSTONE FOODS INC of Richmond, CA is recalling 14.6 ounce (414g) Greens and Grains Hummus and Quinoa Tabouleh Wrap, because it may contain undeclared soy, people who have an allergy or severe sensitivity to soy run the risk of serious or life-threatening allergic reaction if they consume these products. 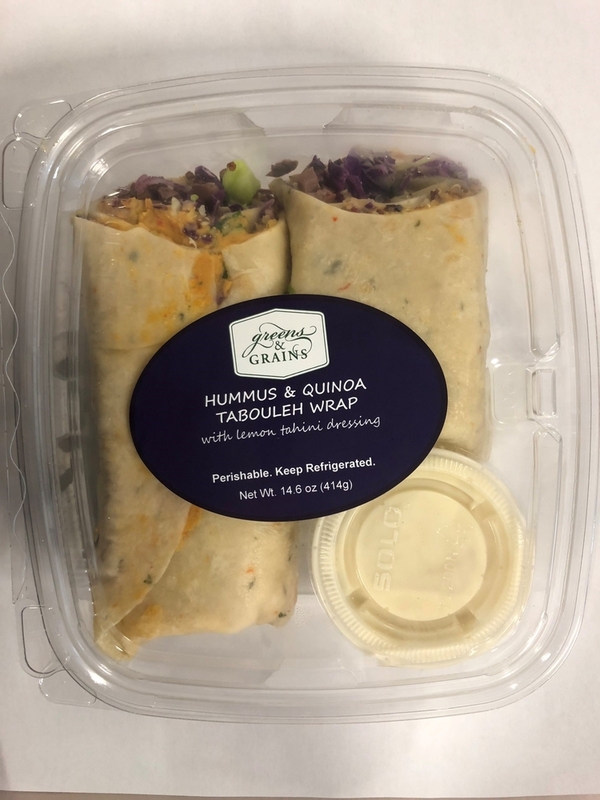 The recalled Greens and Grains Hummus and Quinoa Tabouleh Wrap was distributed in retail supermarkets throughout the Northern California Region. The product is packaged in a clear plastic container, with use by date sticker of 12/19/18. The recall was initiated after it was discovered during an internal review of records that product containing soy was distributed in packaging that did not reveal the presence of soy. Subsequent investigation indicates the problem was caused by a temporary breakdown in the company's production and packaging processes.